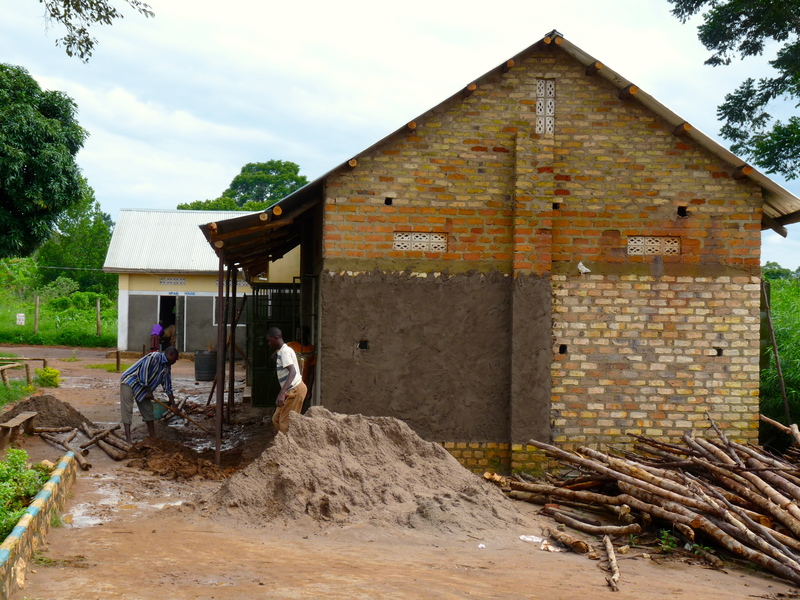 When we first arrived at KAASO in May 2009, the sick bay was an unfinished brick building with no roof, doors or windows. 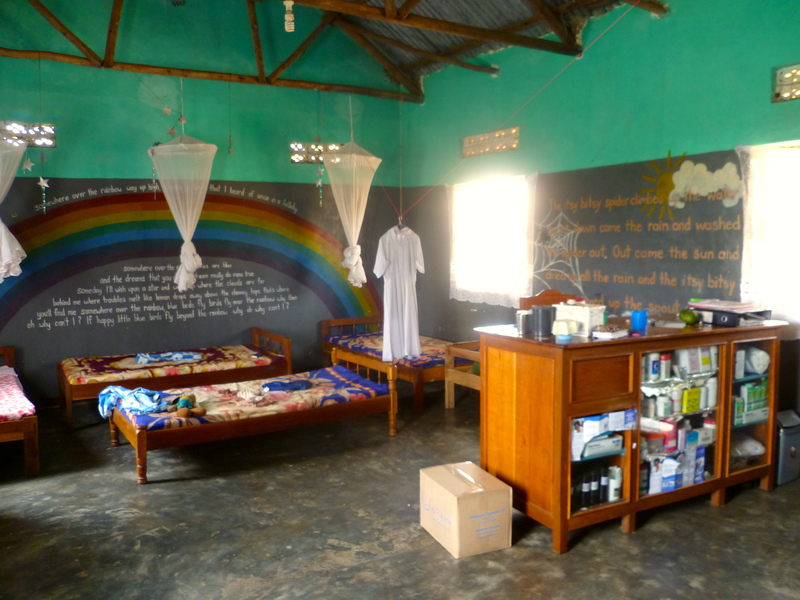 With our volunteer contributions, the sick bay was completed, which meant the school was no longer full of sick children lying around the grounds with nowhere to go. 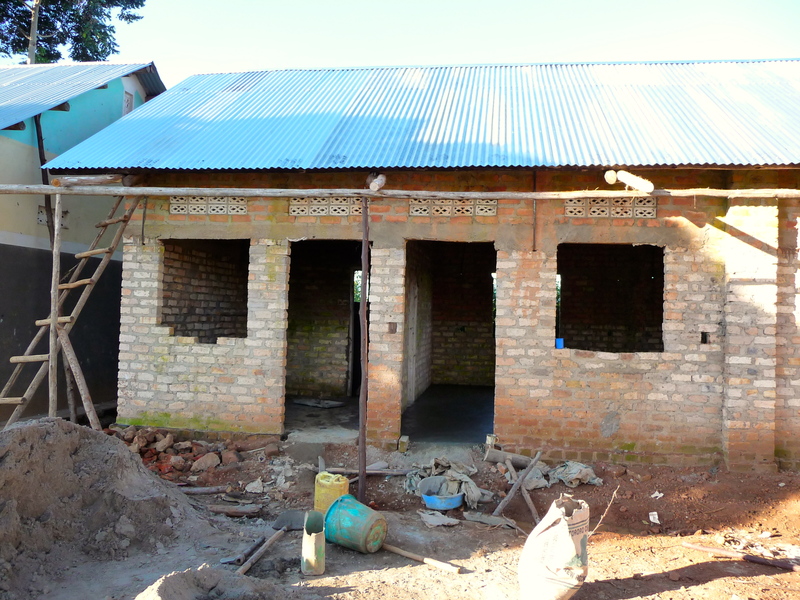 Today, thanks to the support of Share Uganda (www.shareuganda.com), the sick bay is home to a full-time nurse, Sheba, and is well-stocked with medical supplies. 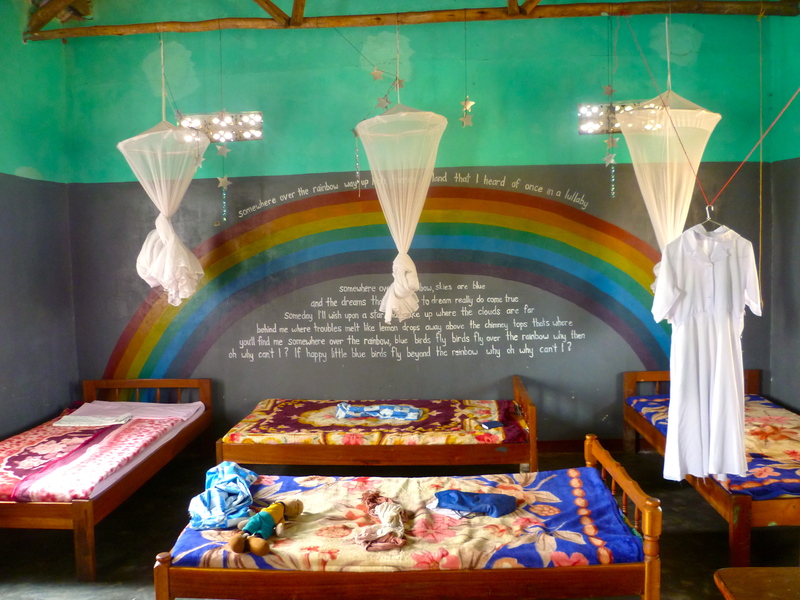 Cherie’s murals of song lyrics from 2009 still fill the walls and Nurse Sheba keeps the sick bay running smoothly.